The Town of Osoyoos is working with the RDOS Emergency Operations Centre (EOC) to create a Request for Proposals (RFP) for sand and sandbag removal. This RFP is expected to be completed soon and it will be at least Two Weeks before the proposals are received and reviewed. In the meantime, residents are requested to keep their sandbags in place, however if they wish to remove them it will be at their own risk and at their own expense. They will not be compensated for removing their own sandbags. Residents choosing to remove their own sandbags are reminded that they are not to dump the sand into the water or along the shorelines. 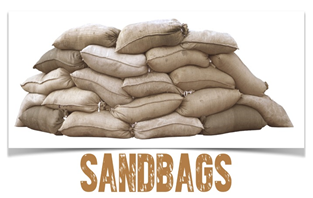 Residents choosing to remove their own sandbags and use the sand for other areas of their property besides beach area, may do so and are asked to sort the empty bags between polypropylene and burlap bags before taking them to the landfill. Filled and empty sandbags can be taken to the Osoyoos Landfill during regular Landfill hours with no tipping fees being charged. The Province and the EOC will be providing information in the next couple of days on a crowd-sourcing app that residents can use to locate where they have sandbags that require pick up. Town residents who do not have access to a computer may call the Osoyoos Town office and provide information as to where they have sandbags. Please be prepared to provide civic address, estimated number of polypropylene bags and number of burlap bags.